For people who enjoy night lives, life begins when the sun sets. To enjoy a glass of good wine, delicious cuisine, and delightful music during night time is a unique, contemporary culture of modern city lifestyle. With the hustle and bustle of the city, people are in need of entertainment outlets that provide total relaxation after a long haul of work. In this era of instant solutions, night entertainments are venues for release of tension, regulation of pressure and gathering spots for friends. They are homes of rejuvenation, flavours of the hearts, shelters of emotions, and locomotives for lifestyles and enjoyments. 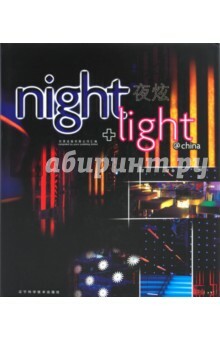 As its name suggests, night venues are places for night activities. Not only do they offer accommodation for rest, but also places for people to enjoy good wines and friendly chats. Contemporary night venues offer a diversity of exotic music, illumination, modes, and colour temptations, they are also in different forms like: KTVs, discos, performing centres Издание на английском и китайском языках.